WASHINGTON — Week by week, country by country, the Pentagon is quietly seizing more control over warfighting decisions, sending hundreds more troops to war with little public debate and seeking greater authority to battle extremists across the Middle East and Africa. This week it was Somalia, where President Trump gave the U.S. military more authority to conduct offensive airstrikes on al-Qaida-linked militants. Next week it could be Yemen, where military leaders want to provide more help for the United Arab Emirates' battle against Iranian-backed rebels. Key decisions on Iraq, Syria and Afghanistan are looming, from ending troop number limits to loosening rules that guide commanders in the field. The changes in President Trump's first two months in office underscore his willingness to let the Pentagon manage its own day-to-day combat. Under the Obama administration, military leaders chafed about micromanagement that included commanders needing approval for routine tactical decisions about targets and personnel moves. 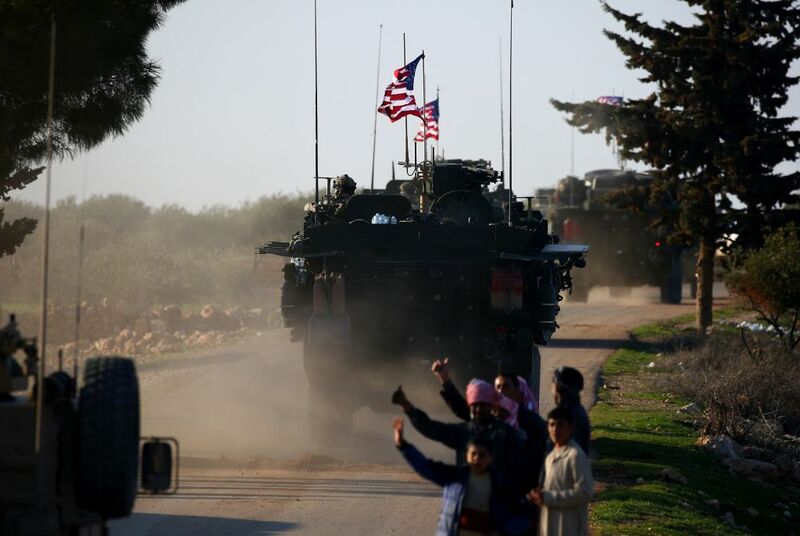 A convoy of US forces armored vehicles drives near the village of Yalanli, on the western outskirts of the northern Syrian city of Manbij, on March 5, 2017. But delegating more authority to the Pentagon — and combat decisions to lower level officers — carries its own military and political risks. Casualties, of civilians and American service members, may be the biggest. The deepening involvement in counterinsurgency battles, from the street-by-street battles being fought in Iraq right now to clandestine raids in Yemen and elsewhere, increases the chances of U.S. troops dying. Such tragedies could raise the ire of the American public and create political trouble with Congress at a time when the Trump administration is trying to finish off the Islamic State group in Iraq and Syria and broaden efforts against similarly inspired groups. Similarly, allowing lower level commanders to make more timely airstrike decisions in densely populated areas like the streets of Mosul, Iraq, can result in more civilian deaths. The U.S. military already is investigating several bombings in Mosul in mid-March that witnesses say killed at least 100 people. And it is considering new tactics and precautions amid evidence suggesting extremists are smuggling civilians into buildings and then baiting the U.S.-led coalition into attacking. Alice Hunt Friend, a senior fellow at the Center for Strategic and International Studies, cited yet another concern: Military operations becoming "divorced from overall foreign policy" could make both civilian leaders and the military vulnerable to runaway events. "Political leaders can lose control of military campaigns," she warned. But top military leaders say they need to be able to act quicker against U.S. enemies. And they've been staunchly supported by Trump, who has promised to pursue Islamic extremists more aggressively and echoed the view of Pentagon leaders that the Obama administration's tight control over military operations limited effectiveness. 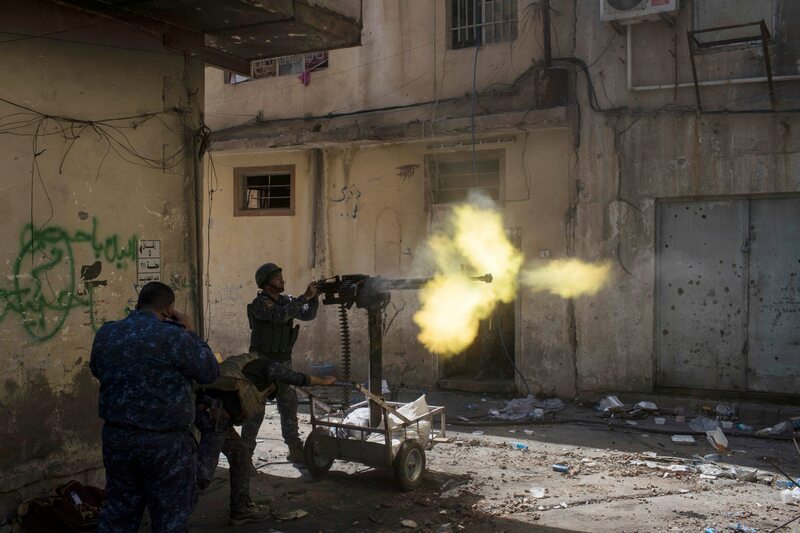 Federal policemen fire toward Islamic State positions in the old city during fighting on the western side of Mosul, Iraq, Thursday, March 30, 2017. Explaining his request for more leeway in Somalia against al-Shabab militants, Gen. Thomas Waldhauser, head of U.S. Africa Command, told Congress this month that more flexibility and "timeliness" in decision-making process was necessary. Approved by Trump on Wednesday, it was hardly the first military expansion. The Defense Department has quietly doubled the number of U.S. forces in Syria. It has moved military advisers closer to front lines in Iraq. It has publicly made the case for more troops in Afghanistan. The White House is tentatively scheduled this coming week to discuss providing intelligence, refueling and other assistance to U.A.E. as it fights Houthi rebels in Yemen, according to officials who weren't authorized to speak about a confidential meetings and demanded anonymity. Some changes are happening with little fanfare. While there is limited American appetite for large-scale deployments in Iraq and Syria, additions are coming incrementally, in the hundreds of forces, not the thousands. The result may be confusing for the public. Trump hasn't eliminated Obama's troop number limits. Thus, the caps of 503 for Syria and 5,262 for Iraq are still in effect. But the military is ignoring them with White House approval and using an already-existing loophole to categorize deployments as temporary. For example, several hundred Marines and soldiers were recently sent to Syria to assist U.S.-backed Syria forces, including in the fight to retake IS' self-declared capital of Raqqa. All were deemed temporary so not counted against the cap. On Friday, the Pentagon said that officially there are 5,262 U.S. troops in Iraq even as officials privately acknowledge at least a couple thousand more there. It's still early in the Trump administration. And as the White House juggles complex details of several military campaigns, it is dealing with tax reform, its health care repeal failure, partisan infighting and expanding investigations into possible Russian ties to his presidential campaign. Observers say the expanding military power may reflect the administration's limited "bandwidth" at the moment. But the military wants some decisions quickly. Iraqi forces are trying to complete the recapture of Mosul, ISIS' stronghold, and more American advisers closer to the battle can help. U.S.-backed fighters are closing in on Raqqa and the Pentagon is pushing to accelerate the effort. Conducting both operations at the same time, the Pentagon argues, will put a lot of pressure on IS.